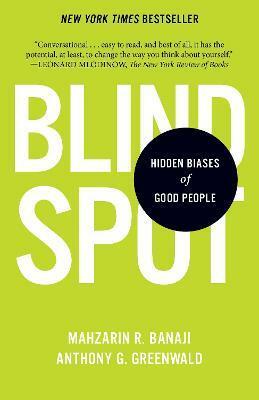 â€œBlindspotâ€ is the authorsâ€™ metaphor for the portion of the mind that houses hidden biases. Writing with simplicity and verve, Banaji and Greenwald question the extent to which our perceptions of social groupsâ€”without our awareness or conscious controlâ€”shape our likes and dislikes and our judgments about peopleâ€™s character, abilities, and potential. The titleâ€™s â€œgood peopleâ€ are those of us who strive to align our behavior with our intentions. The aim of Blindspot is to explain the science in plain enough language to help well-intentioned people achieve that alignment. By gaining awareness, we can adapt beliefs and behavior and â€œoutsmart the machineâ€ in our heads so we can be fairer to those around us. Venturing into this book is an invitation to understand our own minds.